BMW’s new 3 Series Saloon has been unveiled at the Paris Motor Show. 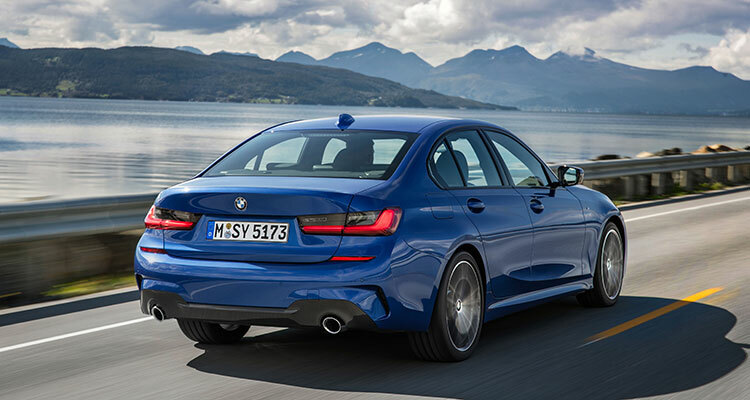 On sale from March 9th 2019, the seventh-generation 3 Series is longer and wider than its predecessor but also lighter and more aerodynamic. Visually, there’s no mistaking the new 3 Series for anything else, with precise, clean lines and bold contours as usual. However, several styling tweaks bring it up to date and fit for 2019. The large kidney grilles at the front are framed by a single surround and split up by wide bars and link to the headlight units. That might sound a bit meh, but pair it up with the new headlights and it truly makes the front end look more urgent and dynamic. 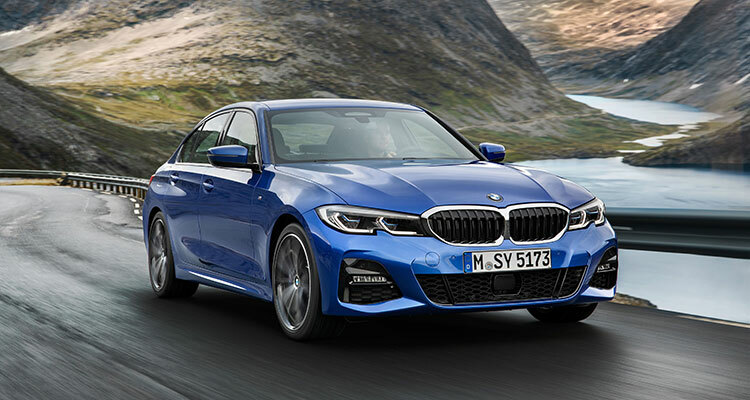 Standard spec for the 3 Series includes extended LED headlights with cornering light and eyebrow indicators, reversing camera, electric folding rear-view mirrors. SE models ride on 17-inch light-alloy wheels or optional 18-inch wheels with bespoke door sill strips and LED front fog lights. Stepping up to the Sport grade embellishes the exterior with BMW Individual high-gloss Shadow Line trim for the side window surrounds, plus kidney grille bars and trim elements for the air intakes and rear apron in high-gloss black. and 18-inch alloy wheels now come as part of the deal too. Range-topping M Sport models add particularly large air intakes as well as a different design for the front bumper, side skirts and rear apron. Inside, the cabin has been designed to maximise a sense of spaciousness with the cabin being focused around the driver. The instrument panel has a modern, light look with horizontal lines, high-quality electroplated trim strips and contours that extend into the doors. The standard models come equipped with BMW’s 8.8-inch touchscreen, leather Sport steering wheel, interior ambient lighting with 11 colour settings, three-zone air conditioning and enhanced acoustic glazing. The dashboard is capped off with a 12.3-inch digital instrument cluster and BMW’s brand new ID7 operating system. In addition to the specs of the standard model, the interior of the Sport models also come equipped with heated Sports seats in the front. Inside the range-topping M Sport models, there are Sports seats, an M leather steering wheel, an anthracite-coloured BMW Individual headliner and interior trim strips in Aluminium Tetragon, updated Vernasca leather seat trims and heated front seats. At launch, engine options will include one diesel – the fleet-friendly 187bhp 320d – and one petrol – the 254bhp 330i. Priced from £33,610, the manual diesel boasts 7.1-second 0-62mph sprint and a combined fuel consumption of 64.2mpg at 115g/km CO2. However, the automatic is quicker yet more fuel efficient, hitting 62mpg in 6.8 seconds whilst returning 67.3mpg at 110g/km. The petrol is auto only and does 62mph in 5.8 seconds with a top speed of 155mph. Fuel return rings in at 48.7mpg at 132g/km CO2. What do you think of the new 3 Series? Let us know down in the comments?